Save up to 75% off regular prices on featured items. Save 21% on your favorite fashion styles. On orders $50+ with Forever21.com email sign up. Keeping up on trends can be time consuming and expensive. Just as soon as you can afford that chic sequined scarf, it becomes yesterday’s news. Forever 21 is the solution to all of your fashion dilemmas. They carry the latest clothing, accessories, jewelry, and shoes at affordable prices. Snag a Forever 21 coupon code to save on your next purchase. Forever 21 will suit the needs of everyone in your family. Not only do they have a wide selection of leggings, skirts, sweaters, and jeans for the ladies, but also an amazing selection for the guys. That’s right boys, you no longer have to just hold the bags – go get your shop on too! They will knock your socks off with low prices on graphic tees, jeans, boxers, and more. Forever21.com has made it even easier to get the latest trends, without having to leave the comfort of your bed and Beiber pajamas (you know you have some). You can conveniently shop by size, brand, trend, and type of apparel. From petite to plus size, there is a wide selection of brands such as Hello Kitty Forever, Eye Candy, and Essentials. The endless selection and low prices will have you shaking in your wedges. Plus, if you change your mind on that Mustache Sweater, returns are simple, so go crazy. Forever 21 opened it’s first store in Los Angeles in 1984. Don Chang and his wife originally founded the company as Fashion 21. By the end of the first year, their sales reached $700,000, so they opened more stores and changed their name to Forever 21. In 2006, they opened their largest store in Pasadena, California. It is 40,000 square feet and two levels, proving that 28 years later, the boutique style store is still a favorite shopping destination. Forever 21 is always lending a helping hand in communities and to those in need. In 2011, they officially launched its “Give to Love Love to Give” brand, which is a collection of items where proceeds will go to charities such as Big Brothers Big Sisters, The American Red Cross, and Japan Disaster Relief. When you buy from this collection, you will feel as warm and fuzzy as your cashmere sweater knowing you helped someone in need. Start shopping for a bigger purse because CouponPal will help you keep more of your money with a Forever 21 coupon code. Forever21 makes it easy to stay in touch with the latest fashion trends. Anything that’s hot on the runway, you’ll also find at Forever21, for a fraction of the price! If you have any questions about ordering your trendy new wardrobe essentials, read below to find the answers. Why isn’t my Forever21 coupon working? If you are trying to use a Forever21 coupon and it won’t work, chances are, it’s expired. Make sure you check and see what the end date of the offer is, and see that it hasn’t already passed. Another possibility is that there are restrictions on the coupon. Some offers are only valid on purchases of a minimum amount, or on purchases of certain items. Check the coupon you want to use make sure you know what the restrictions are. You might see a small “i” or “information” symbol in the upper right hand corner of the coupon. Click on this to reveal the coupon restrictions. If you don’t see an information symbol, then either there are no restrictions on the validity of the coupon, or you may have to check at Forever21.com to find out more information about the offer. How much does shipping cost from Forever21? Can I get free shipping? The cost for shipping will depend on where you live and how fast you want to receive your order. The good news is, Forever21 offers free shipping on many items. Check back often at CouponPal.com to find the latest free shipping deals from Forever21. How can I contact a Forever21 representative? You can get in touch with the Forever21 team by calling 1-888-494-3837, or you can email them using this form. 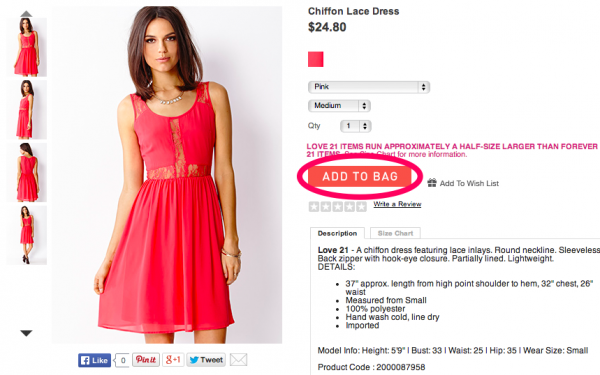 If I find a Forever21 deal that you don’t have on your site, can I add it to your page? Not a fan of waiting in line for dressing rooms? Neither are we. And the lines at Forever21 seem to be endless. Now you can shop the latest fashion trends through Forever21.com and try on your new clothes in the comforts of your home. Forever21 has everything from work attire to activewear for women and men in a variety of sizes. Use a Forever21 coupon code to save money with every purchase. Below are instructions on how to use a Forever21 coupon code and how to cash in on Forever21 deals that don’t even require a code. After locating the Forever21 coupon code or deal you want, click the corresponding "Get Deal" button. This page will redirect to Forever21 where you can shop and a new window with the code will open. 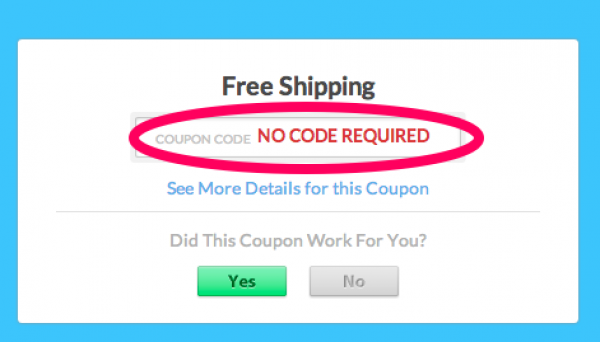 This particular deal doesn’t require a code, so you won’t need to enter one. After you have clicked the Couponpal "View Deal" button, your window will be redirected to forever21.com. You can now browse through the category of items you want to purchase. For example, you can click on outerwear, dresses, activewear, shoes, pants, and accessories. From the product page, go through the steps to put together your order. For example, you may need to hit a minimum purchase amount to receive the free shipping deal – this one required a minimum order of $50. Paste the Forever21 coupon code where it says “Enter code here” and select “Apply.” The cart will automatically refresh and you will see your new lower price.